HBO has found its next prestige drama: an adaptation of Elena Ferrante’s novel, My Brilliant Friend. 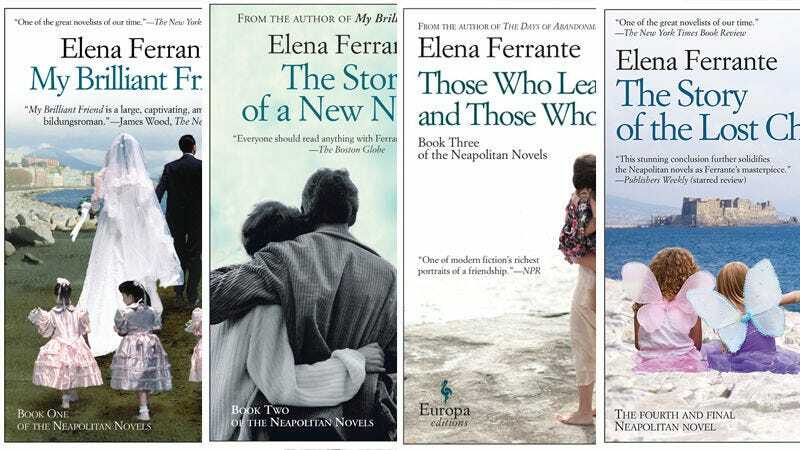 The first of Ferrante’s Neapolitan Novels, My Brilliant Friend follows the early friendship of Elena Greco and Lila Cerullo in post-war Naples, examining the often tumultuous undercurrents of female friendship, adolescence, and class. In March, it was announced that Italian director Saverio Costanzo had signed on to direct television adaptions of the four Neapolitan Novels, but there was no news of distribution. Now, The Hollywood Reporter reports that HBO is partnering with the Italian production company RAI to produce the first of the novels. My Brilliant Friend will be an eight-part drama in Italian and will begin production in Naples this summer. While there’s no word yet on casting, Ferrante and co-writers (including Costanzo) will write the script. Hopefully, with Ferrante on board—itself a coup considering the opinions about adaptations of her work that she shared in Frantumaglia—the adaptation will capture the writer’s rare ability to navigate the intensity of women’s emotion and her subtle depictions of gendered violence that make the Neapolitan quartet so appealing. If you haven’t read the books, then this is your chance to revel in Ferrante’s world and cultivate a refined hatred for Nino Sarratore. HBO has yet to announce a release date.